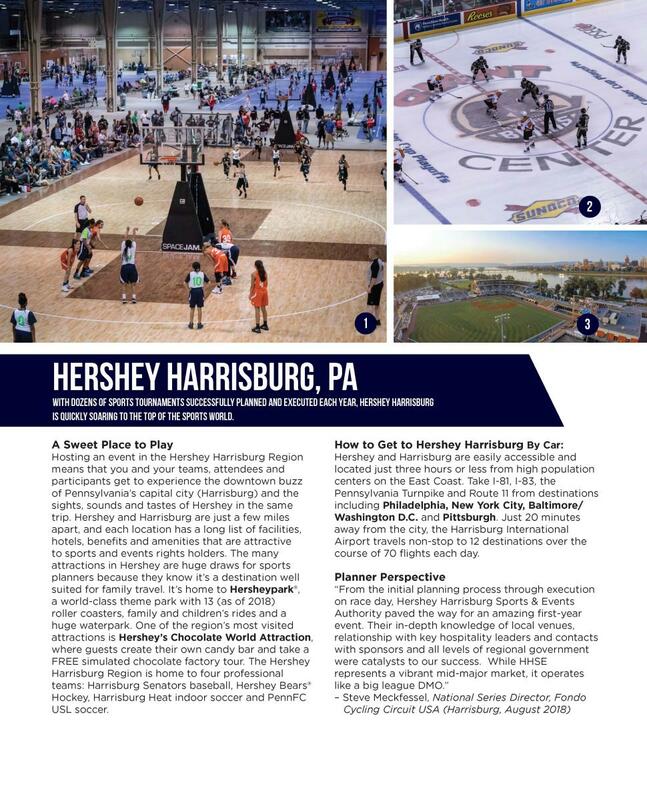 Below is a copy of the two-page spread featuring the Hershey Harrisburg Region in the 2019 Sports Planning Guide. 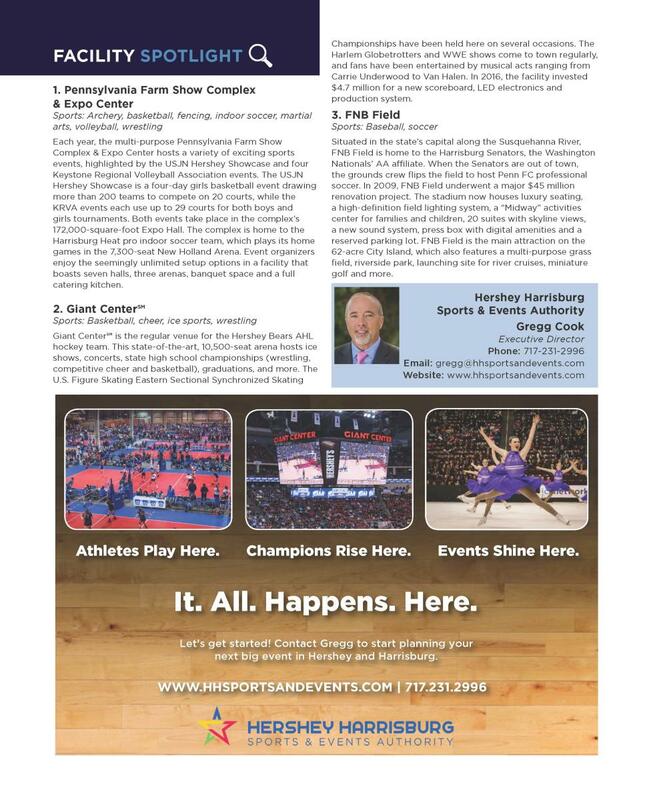 HHSE joined the members of PA Sports to be included in a Pennsylvania Guide. Our state offers the facilities, services and post-event activities to fit any organizer&apos;s plan. An expended version of this information is also available online HERE.